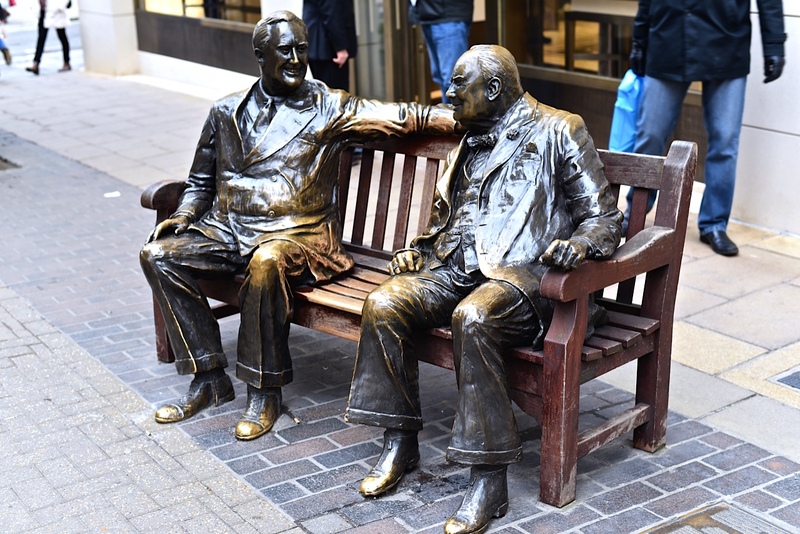 Have you ever wandered down London’s Bond Street and noticed the (as I call it) “When Churchill met Roosevelt” statue – the two elder statesmen sitting on a bench with a space for us in-between – wondering what it’s all about? All became clear for me on this vexed question when I sadly read the obituary in The Telegraph of its creator, Lawrence Holofcener. Lawrence was a man of all seasons apparently – successful as a Broadway actor, director and lyricist – and in his twilight years, a sculptor. 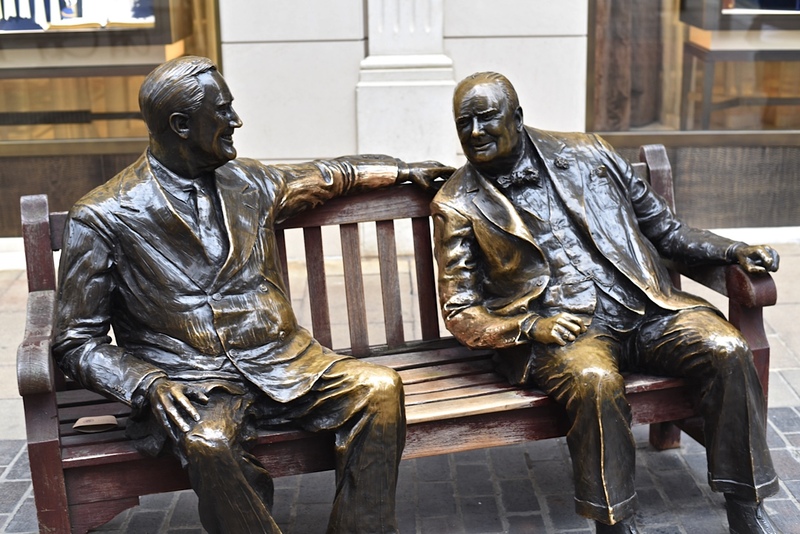 The sculpture is more properly known as Allies and is a life-sized public work featuring a bronze Winston Churchill chatting companionably on a bench with Franklin D Roosevelt. 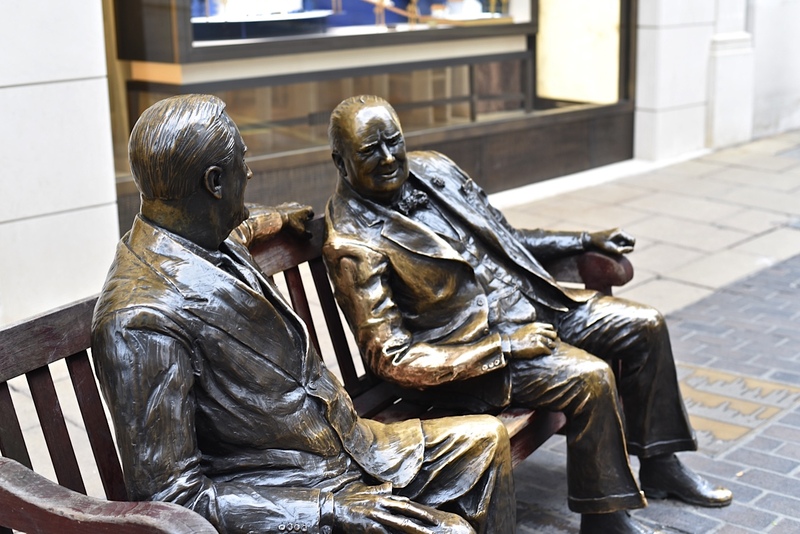 It was unveiled by no less a figure than HRH Princess Margaret in 1995 to commemorate 50 years of peace since the end of WWII. Holofcener, who had dual American and British citizenship, created the work at his own expense and at first, it remained unsold. Then the Bond Street Association gave it a trial run to gauge public response and it was so popular, they decided to purchase it as a permanent attraction. 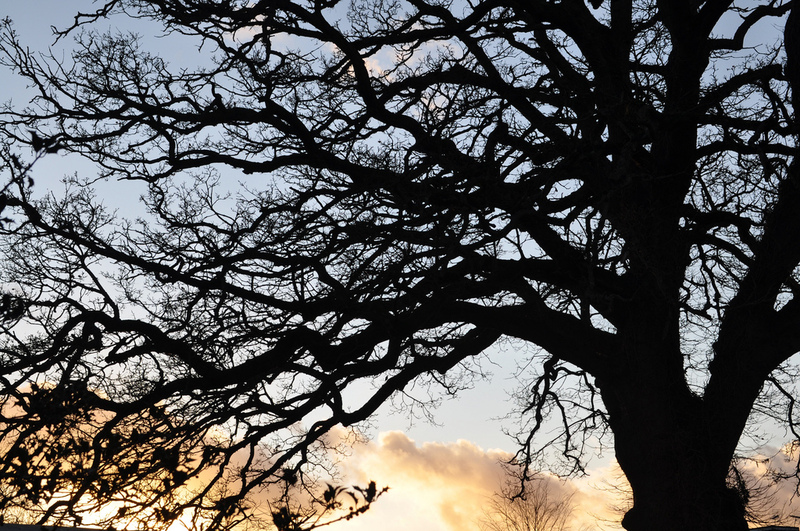 The rest, as they say, is history for this popular tourist attraction. 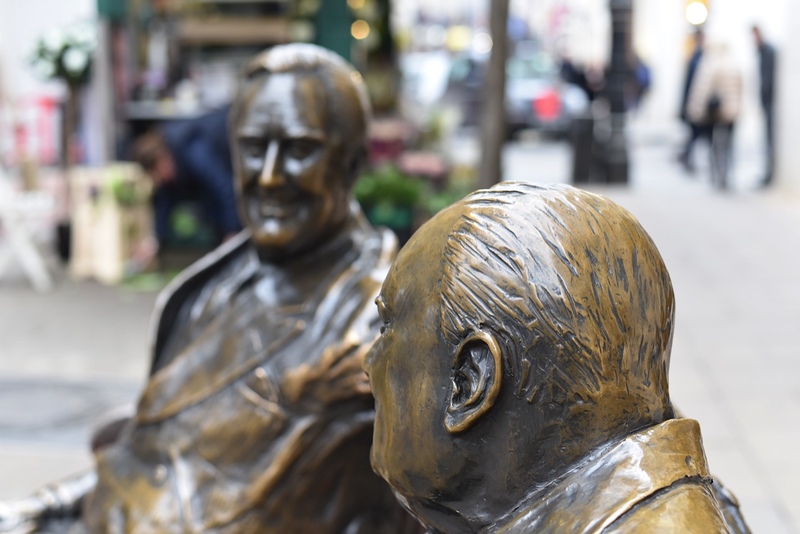 His other British works include Faces of Olivier at the Chichester Festival Theatre, a statue of Queen Victoria for the Isle of Wight Museum and life-sized portraits of Thomas Chatterton, William Tyndale and William Penn unveiled by HRH Prince Charles in Bristol in 2000.